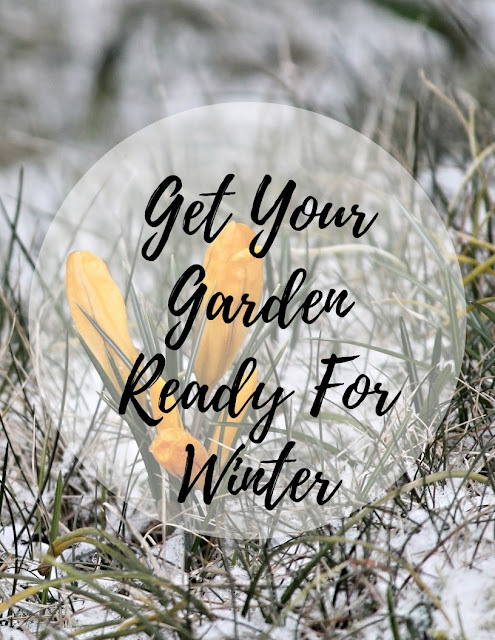 Winter may not seem like the time to think about your garden. But take advantage of this break from the growing season to catch up on tasks that were put off during the rest of the year. Whether it’s protecting plants from severe cold, decorating the front garden for Christmas, or planning for next year, there’s plenty to keep you busy while you dream of spring. Leaving your tools out over the winter without protection they will more than likely be rusty and need replacing. There are weeds that thrive through the changing seasons; so you need to make sure you keep on top of them over the winter. Find yourself a good herbicide or if you want to do remove them naturally. White wine vingear is perfect for spot treating weeds. Now is the ideal time to clear out last year's compost and use it around the garden, making room for this year’s waste. If your compost isn't quite ready, turn it to improve decomposition, and create a new heap next to it for fresh organic matter. You can never have too much compost. Winter is the perfect time to plant daffodils, crocus, hyacinths and tulips. Make sure you plant them before there is too much snow and frost. To give yout flowers the best chance for survival by nestling bulbs about six inches deep in the soil. And if all end fails hire yourself a gardener. Some may deem a professional gardener as simply an unnecessary luxury. However a garden is a big game player when selling your home, so think of it as an investment if you can afford it.